Eating healthy doesn’t have to be boring. This is an important lesson I learned 5 years ago. At that time I was 29, and I was just starting to realize that I was, in fact, not a teenager anymore. I had to be more aware of the things I was putting in my body. Throughout my 20s I basically ate whatever I wanted, a habit I started when I went to college. As a result, I had put on weight and had started some habits that were not the best for my body. I ate pizza whenever I wanted, snacked on chips and dip, and ate breakfasts that probably contained about 3/4 of the calories I needed for the entire day. Realizing my 30th birthday was approaching, I knew these habits needed to change. Not only for my waistline, but for my overall health and most importantly to me, my heart health. So Mike and I made a big effort to eat healthier and change our diet. As a result, I lost around 25 lbs and learned that eating healthy didn’t have to be bland and boring. Chicken and fish became a huge part of our diets. We didn’t want to eat the same thing over and over again so we had to find ways to spice up the chicken or unique ways to use the fish. 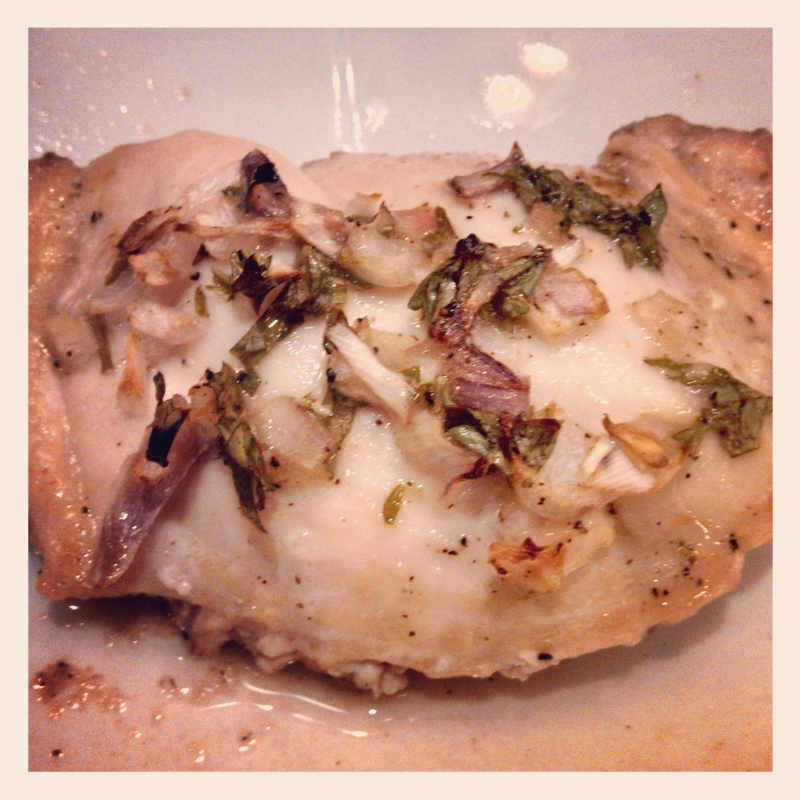 Here is a great example of an easy way to dress up your chicken while still keeping it on the light side. It’s also a great dish to serve guests because of how beautiful it is and they’ll be impressed by the fancy name 🙂 Baked Honey Beer Chicken only contains 253 calories per seving. Add a healthy side and your meal is easily under 500 calories. 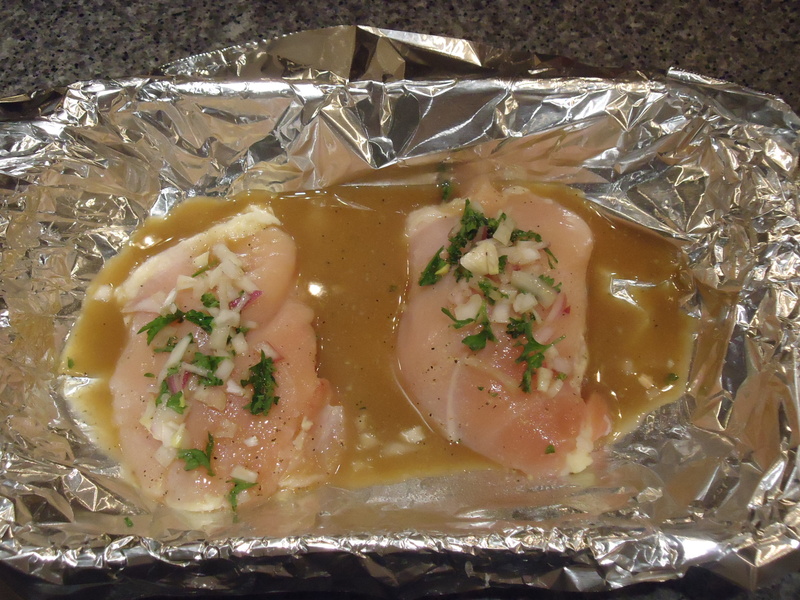 Line a baking dish with aluminum foil. Spray with cooking spray. 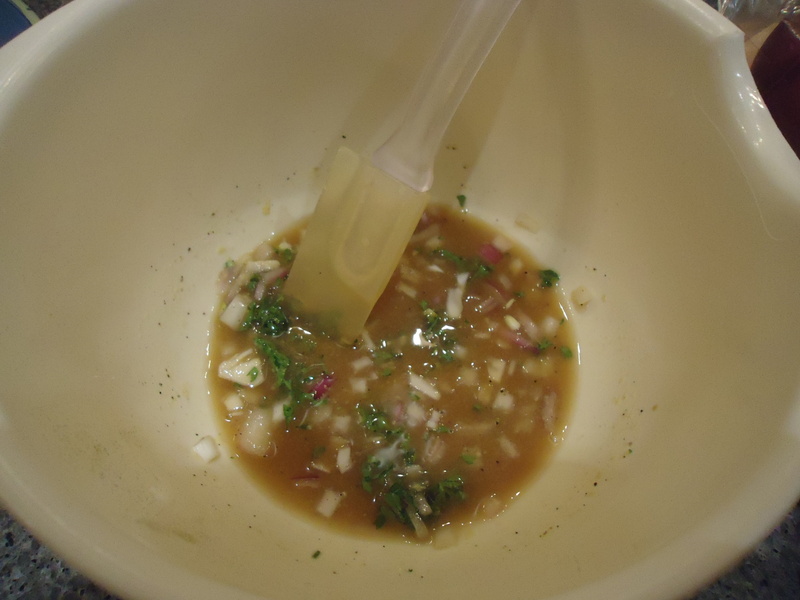 In a small mixing bowl, combine beer, soy sauce, mustard, honey, onion, and parsley. Pour beer mixture evenly over all four breasts. I only made two the night I made this so I just cut the recipe in half. Bake for 30-35 minutes. Remove and serve. I took a spoon and evenly poured the remaining juice from the bottom of the dish over the breasts on the serving plates. This gave them a little extra flavor and a nice presentation. 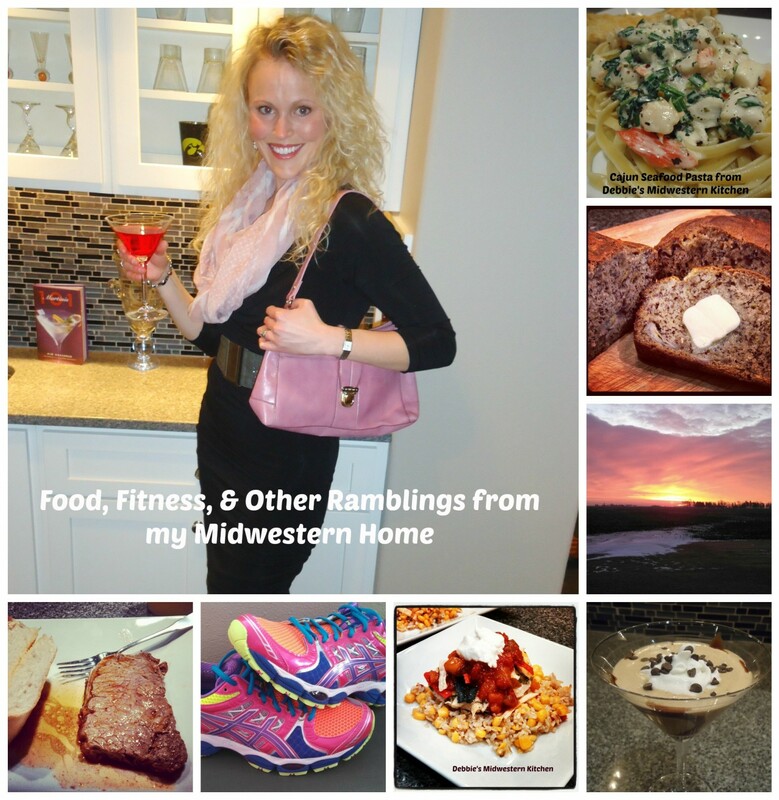 I am getting so many great recipes from you! This one looks so good! Like I said—I am starting a “Debbie” file!